Dunkin' adds the new Sweet Sriracha Bacon Breakfast Sandwich and Chocolate Cherry Cold Brew to the menu for a limited time this spring. 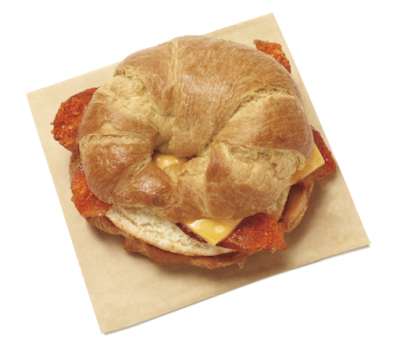 The new breakfast sandwich features four strips of sweet Sriracha bacon, egg, and American cheese on a toasted croissant. New Chocolate Cherry Cold Brew takes the chain's cold brew coffee and added chocolate and cherry flavors. During the month of April, you can get any medium Cold Brew for $2 between the hours of 2 PM and 6 PM. With the warmer weather coming in, the chain also offers Iced Tea Lemonade and Frozen Lemonade made with lemon juice.